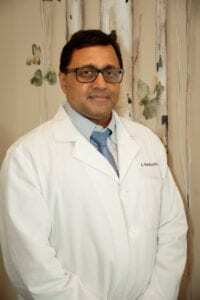 Doctor Ananda Walaliyadda has been practicing medicine for over 24 years. Early in his career and as a student, Dr. Walaliyadda assisted in surgery, pediatrics, and obstetrics, and was the Chief Resident for Internal Medicine at Raritan Bay Medical Center in New Jersey (a University of Medicine and Dentistry of New Jersey teaching hospital). He was especially interested in rheumatic disease, and decided to do Post-Doctoral research at the University of Florida. As a post-doctoral fellow at University of Florida, he participated in two important studies – “Gout in heart transplant patients” and “Recurrent Lupus nephritis in the transplanted kidney”. At University of Florida, he also acted as the chairman for the Department of Medicine. Dr. Walaliyadda then moved on to be a Rheumatologist and Internist for many different hospitals and settings, including Miramichi Regional Hospital, the Pocatello VA Outpatient Medical Clinic, Portneuf Medical Center, Caribou Memorial Hospital, and his own highly successful practices in Rigby and Pocatello. Dr. Walaliyadda has done excellent work in helping with the organization and delivery of rheumatological care in rural settings, and has reached out to the Southeastern Idaho community by providing this medically underserved populace in the Rocky Mountains with outstanding care. Training and education are especially important to Dr. Walaliyadda, so he has participated in many conferences and seminars as both an attendee and speaker. In addition, Dr. Walaliyadda acts as a visiting faculty for the Physician Assistant program at Idaho State University. Ranmali Walaliyadda obtained her medical degree from University of Bucharest in Romania. After working as a physician for a few years, she gave up her medical practice to focus on her family. After moving to the United States, she obtained her Master of Physician Assistant Studies from Idaho State University in 2005. 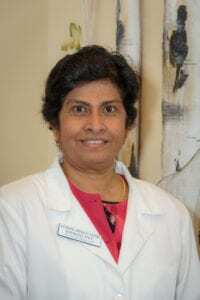 She has worked in the field of rheumatic disease for nearly 7 years and obtained advanced training and certifications from the American College of Rheumatology. She has also received extensive training in the use of ultrasound imaging for the diagnosis and treatment of rheumatic diseases. Recently, she was certified through the International Society for Clinical Densitometry to read DXA scans. Stephen was born in SLC, UT, and raised in Tulsa, Oklahoma in a family of 9 children. 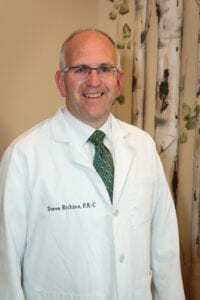 He attended college at Ricks College in Rexburg, ID, BYU in Provo, UT, and graduated from the University of Utah as a physician assistant in 1998. He obtained his Master’s Degree from the University of Nebraska in 2004. Stephen worked as a physician assistant in an emergency room/urgent care setting at Jane Phillips Medical Center in Bartlesville, Oklahoma for 4 years. He then worked in an emergency room and family practice at Mayo Regional Hospital in Dover Foxcroft, Maine for 5 years. From there he moved to Parsons, Kansas where he worked with a hospitalist and did nuclear medicine testing. He also operated a wellness program for Labette County Medical Center for 4 years. 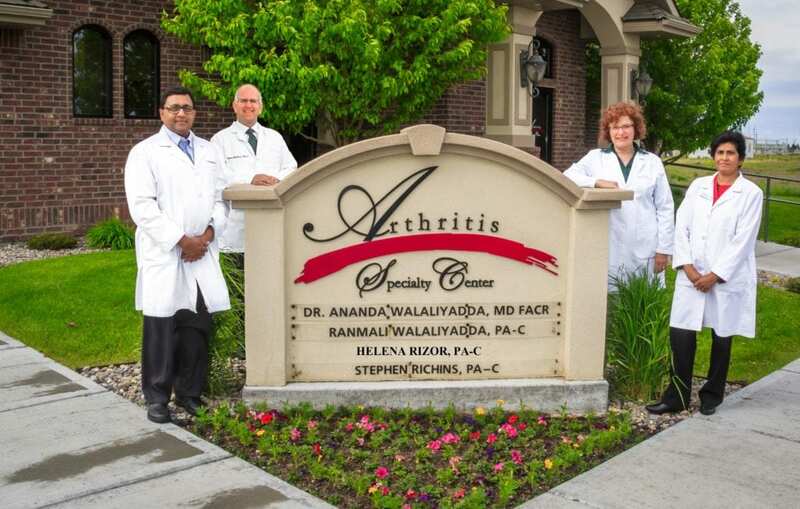 In 2011 he moved to Rigby, ID with his wife and 6 children working at Arthritis Specialty Center with Dr. Walaliyadda. He enjoys sports, outdoor living, Boy Scouts of America, church and community services, and above all spending time with his family. Helena is excited to be a part of the team at Arthritis Specialty Center. She is a Board Certified Physician Assistant and earned a Masters of Physician Assistant Studies from Idaho State University in 2004. She obtained 9 years of experience as a physician assistant, the majority in internal medicine and diabetes, before joining Arthritis Specialty Center in July, 2013. Since then she has completed the Advanced Rheumatology course through The American College of Rheumatology. 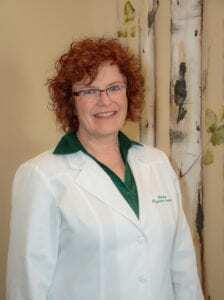 She is committed to helping our patients obtain a better quality of life through effective treatment of their disease. Helena was born in Sweden and met her husband in the Bay Area of California, where she spent a year as a foreign exchange student in high school. She enjoys spending time with her family and friends, reading, gardening, home improvement, art, and music.